We are no longer moving towards the Digital Age, we are already in it and the past decade has seen rapid advances in technology for us regular folks. The Internet and mobile technology have become intertwined in our day to day lives. We use these to stay in touch with our loved ones, do banking, manage our office work, book a doctor’s appointment or even organising our calendars. When we wake up the first thing we reach for is our phone, tablet or PC and it’s usually the last before we go to bed. Apart from personal usage by the masses, our government is also almost completely reliant on digital systems for their day to day operations. Our taxation system has become completely digitised with the bulk of the transactions being carried out digitally. Most of the core government departments have also done away with paper filing processes and rely on new age digital solutions and software for their operations. The importance of digital systems and cyber platforms and the ease they have brought into our lives cannot be emphasised enough. They have changed our lives forever and made everything faster and more efficient. However, not everything is all roses and sunshine in the digital world. Digital technology comes with its own set of unique challenges and the most difficult of them all is Cyber Security. With our increasing reliance on cyber platforms, we share a host of personal information online. Our bank details, information pertaining to our friends and family, and a lot of other private data is susceptible to cyber-attacks from hackers and other anti-social elements. WannaCry hit the digital world on May 12 and had a global impact. It targeted thousands of people worldwide, affecting public utilities and large corporations. It was even successful in temporarily crippling the national health services and facilities in the United Kingdom. A Hacking group called Shadow Brokers managed to create waves in the digital world by hacking into one of the most technologically advanced security organisations in the world, the NSA. They released a trove of particularly significant alleged NSA tools, including a Windows exploit known as EternalBlue, since then hackers have already used it to infect targets in two high-profile ransomware attacks. On March 7, WikiLeaks published a data trove containing 8,761 documents allegedly stolen from the CIA. They claimed that the documentation contained alleged spying operations and hacking operations. The Revelations made by the group also included vulnerabilities in Android, bugs in windows, and the shocking ability to turn some smart TVs into listening devices. These cyber-attacks have exposed the vulnerabilities of our modern digital world and have made governments and the people realise the need for robust cyber security mechanisms. Cyber threats are constantly evolving and Governments and organisations must maintain constant vigilance and develop specialised cyber security measures to deal with new threats. However, we the end users, also need to be diligent and proactively adopt some basic measures to protect ourselves from cyber threats. 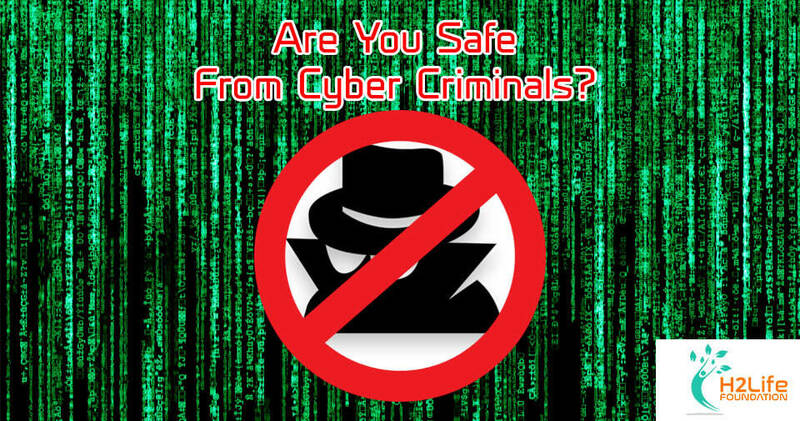 In the next part of this write up we will discuss some simple measures we can take to protect ourselves from the bulk of cyber threats.